12 Volt 1 amp AC Switchmode 12 watt miniature set-top regulated power supply, with 12V 1000mA DC output in stock from PowerStream. Desktop Universal AC external regulated switchmode 12 volt power supply with removable IEC AC cord, 1000 mA. Works anywhere in the world. 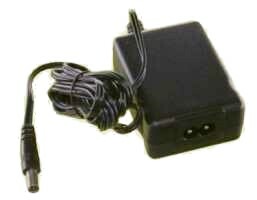 This is a compact, high quality, switchmode regulated power supply with stable output, 12V 1A, 12 watts continuous. It has a removable AC plug. Circuit Topology: Free-running flyback circuit.